K.E. van Holde and K.I. Miller, Hemocyanins. O.B. Ptitsyn, Molten Globule and Protein Folding. T. Lazaridis, G. Archontis, and M. Karplus, Enthalpic Contribution to Protein Stability: Insights from Atom-Based Calculations and Statistical Mechanics. G.I. Makhatadze and P.L. 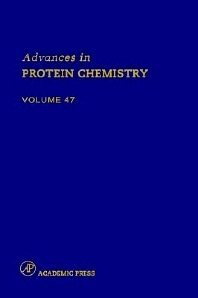 Privalov, Energetics of Protein Structure. Chapter References. Author Index. Subject Index. Researchers in biochemistry, molecular biology, cell biology, and biophysics.